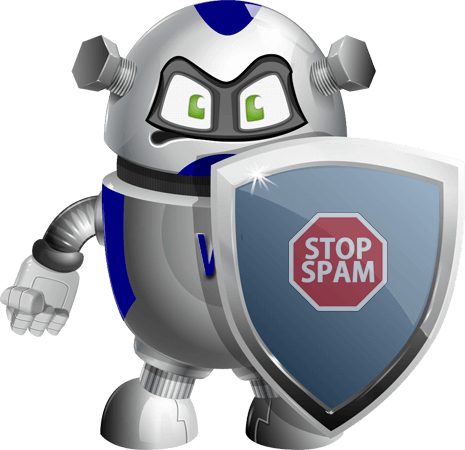 We have ZERO tolerance for spam of ANY KIND! We DO NOT Tolerate It AT ALL!!! This spam policy applies to both clients of 3001 web and the general public. that hosting account will immediately have all it’s email facilities suspended pending a review. The payment gateway you used to pay for your hosting account. Local data protection agencies to your location. Locate the hackers spamming script and remove it. Then get the script patched to avoid further abuse. If required, 3001 web staff may assist in this task subject to our usual rates. The best advice we can give is to check the security status of any script before installing it to your site. If you believe one of our clients has sent you spam please contact us giving us as much detail as possible and we will look into it. Without exception, all programs that run your mailing lists or newsletters MUST be double opt-in. By that we mean a subscriber MUST NOT be added to any mailing list unless they were first sent a confirmation email to their email address, which requires an act of confirmation to finalize their adding to the list. This is to conform with international anti-spam laws, the GDPR, the DPA and many other international data protection regulations. Subscribers MUST be offered an automated unsubscribe link in every issue of your newsletter so that they can immediately remove themselves from your list. Where possible the mailing software you use should record the IP address the user signed up from to protect you against spam complaints. We do not allow the hosting of bulk mailing scripts on our clouds. If you wish to run a newsletter or commercial mailing list you will need to use an external mailing provider. We highly recommend that you use a third party service like Mail Chimp for sending out newsletters.